Using a small-cap stock investor as our example, he see's a 200,000 bid at $.78 vs a small 10,500 share ask of $.79. Seeing this large bid, he becomes convinced there's lots of support at .78 and so decides to buy all the available stock at .79. As soon as his order is executed, he sees this: 20,000 bid at $.76 vs a 100,000 ask at $.77. WTF just happened? Well, there's a good chance he'd just been duped. Though it's supposed to be illegal, large bids and ask are routinely sent into the L2 system and pulled moments later. These fake bid/ask are just more Wall St games to push you (the sheep) in the direction they want you to travel. Meanwhile, National Association of Securities Dealers (NASD) firms have access to something that's much better: Level III. With L3, these honest and reputable firms have the ability to see everyone's hand... with perhaps its most valuable feature being the ability to see where everyone has set their stop-loss limits. That's right, they know exactly where they need to take a stock in order to trigger massive stop-loss selling whereas they can then swoop in and steal everyone's shares. From your hands to theirs. I've now been investing for over 30 years and have seen all the fads that have come and gone between the dot.com era to the more recent bitcoin and crypto currency era. In between these two bookends, I've witnessed day trader love affairs with: internet stocks, shipping stocks, metal stocks, rare metal stocks, mad cow stocks, small biotech stocks, gambling stocks, gaming stocks, bird flu stocks, china stocks, homeland security stocks, low-volume stocks, nanotechnology stocks, oil and gas stocks, stem-cell stocks, and more. Over the course of time I became a party to many message boards, chat rooms, stock web sites, and even a few paid subscription services. Ultimately though, I came to the conclusion that while (on occasion) you could catch "lightening in a bottle" with small-cap stocks, more times than not you'd just get struck by the lightening. If your timing was impeccable you might make a quick profit, but holding any longer would often led to financial heartache. Today, just as it was then, the "worst of the worst" companies are usually the ones you find getting promoted and pumped. To me, the reason is two fold: 1) These companies share prices are easier to manipulate, and 2) These companies are in constant need of cash (account they operate money losing businesses). So... it's often best to avoid them all together as most (eventually) simply end up going bankrupt. If you're looking at anything other than earnings and sales growth, then you're setting yourself to be a potential victim of fake news and/or false signals. Jim Cramer has appeared in thousands of videos over his professional career but this one I consider to be his best... because it gives a true glimpse into how things really work on Wall St. Here he speaks of the tricks hedge funds will employ to create doubt or euphoria in the market or in a specific stock... in order to serve their own interest. If you're a long-term investor, this is no big deal... but all others should pay close attention. Something else I'd like to say here about hedge funds: Investors (and especially those in small-cap stocks who are desperate to see institutional ownership in their companies... for validation of the companies prospects) should recognize that hedge funds are often only there for the trade... and that's especially true if most of them came into the stock upon a dilution event. These are all the people you see on Twitter or various Internet chat rooms claiming "I turned $100 into $100,000". Or the people you see routinely claiming "I've already made $25,000 today"... no matter what the current market conditions. Often these people are encouraging you to join their chat rooms where their "team members" will help educate and teach you how to trade. They'll often want to sell you various DVD's, programs, books, or have you attend one of their conferences. They tell you all it takes to become a successful trader is to follow their "simple rules" and have a "positive attitude". They tout how great their chat rooms are and how everyone is there to encourage one another. But when things don't pan out... funny how it will almost always be your fault alone. Rarely do these clowns ever claim losing more than $100 on a trade themselves. Nope, they'll claim they were stopped out near break-even. Watch their post disappear with regularity on their wrong calls on any website (such as Twitter) that allows its users to delete old post. These jack wads often have no financial background and are nothing more than self proclaimed chart reading masters (or small-cap stock promoters, which they'll never admit to). These jerks also have a propensity of posting pictures of themselves next to (rented?) exotic sports cars. And even if the cars were theirs, that's a telltale sign of dumb money. Additionally, you'll often see these phonies with thousands (if not tens-of-thousands) of supposed followers. When Twitter recently purged millions of fake accounts, many of these "guru's" lost over 1/3rd of their bought-and-paid-for followers. How do these scam artist really earn most of their money? By charging you fees, selling you stuff, and/or by front loading the stocks they are about to recommend you... just before dumping their entire position upon your head. You are little more sheep to be fleeced to most of them. 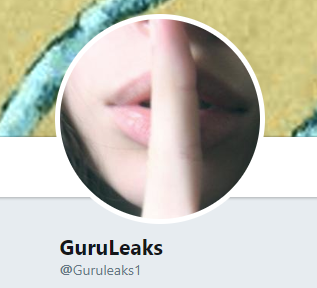 If you're on Twitter, please follow "@GuruLeaks1"... a person dedicated to exposing many of these financial con men. Remember, if it sounds too good to be true, it probably is. If you follow enough stocks, there's hardly a day that goes by without noting the owners of some particular stock (usually a small-cap company) demanding some sort of SEC investigation. Why? Because investors feel like they've just been screwed over... either by some particular CEO, some particular Wall St firm, or by those pesky illegal "naked short sellers". Let me tell you something... the SEC doesn't care. The SEC's first priority is in helping and safeguarding Wall St and its member firms. You, on the other hand, are further down the list... much further. 1) Companies. The companies people often feel are screwing them over... in the vast majority of cases, the company is innocent. So long as they're filing the proper paperwork with the exchanges on which they list, they've not done anything illegal. The problem is this: the average investor is not an attorney. So when the company drops those (sometimes up to multi-hundred page) 8-K filings, few people read them... and the ones that do often don't understand what it is they just read, either in part or in whole. All that legal jargon... that is your real enemy. So, indeed, these companies might be screwing you, but they're doing it legally. The SEC get's a free pass here. 2) Naked short selling. Sure it's illegal, but illegal and prosecuted are two different things. Member firms routinely defend themselves and extol the virtues of short selling (just not the illegal type, wink wink). Wall St cronies are simply making too much money f--king over shareholders and manipulating markets to give up this practice. No matter what ever happens on this front, I'll always have a soft spot in my heart for Overstock founder and CEO, Patrick Byrne. He fought the battle and lived to tell about it. 4) Protecting you from gains. It's hard for me not to feel sorry for the little investor at times... the chasers and the dreamers. They are screwed over so often (legally) by the turd companies they invest in, that I'll find myself cheering for them when they discover a seemingly "pot of gold" far from the reaches of Wall St member firms... and usually that means stocks trading in the bowels of the OTC market and in the pennies. First I witnessed it with the marijuana stocks 4-5 years ago, then more recently with crypto currency stocks. But as soon as the parties get ramp'ed up (with some of these companies running hundreds of percent in a short period of time) in comes the SEC to save us all! Here they saved you from the 420 rally (or perhaps killed you, if you were already invested) and here they saved you from the crypto currency rally (or perhaps killed you, if you were already invested). You just can't win. Alphabet Soup - Look through a companies 10-Q or 10-K. Have they sold warrants to their creditors? Are they Series "A" or perhaps Series "B" ? If so, maybe you'll be fine... but with each successive letter you should be getting more and more nervous. Have they issued a Series "C", "D", "E", "F", or "G"? If so, don't ask questions, just get the hell out of dodge... NOW! Alphabet soup is a sign of a financially weak company that lives off shareholder blood. Smoke Screen - When an insider (or insiders) make small one-time open market purchases of their company stock. Small meaning, in relation to their salaries or wealth. Additionally, it's even more suspicious if these same insiders owned very few shares to begin with. You'll often find these purchases taking place during moments of extreme price weakness and/or negative investor sentiment. I view these tiny insider purchases as negative signs... even more negatively than had the insiders made no purchases at all. Why? Because, had they made no purchases, you could always assume they chose to get their shares for free via salary structure or from exercising stock options for hitting financial targets. But when they make these direct open market purchases it sends a signal... a signal that they either believe (large purchase) or they don't believe (small purchase)... and if they are buying shares when they don't believe... it's a smoke screen. A smoke screen will often provide investors with a small window of opportunity to exit the trade before the price continues to drop. "Do our your own DD" - Oh how many times I have seen this quote. Probably thousands of times over the years. I find it most often quoted by others on small-cap biotech forums. Only one slight problem... over 95% of people do not know how to conduct proper due diligence (DD). This is no different than telling a commoner on the street to "Read up on how to perform brain surgery" before putting a knife in their hand and telling them to get to work on the patient. So while the comment itself is accurate, it is essentially worthless at the same time. If you truly want to attempt to do proper DD, start with reading through the companies 8-K's and 10-K. While you may not understand everything you are reading, it is where proper DD begins. Additionally, expect proper DD to take days or weeks. If you don't want to be burdened with such an exercise, only buy companies that are profitable with growing revenues. There are plenty of them to choose from and your odds of experiencing some sort of big negative surprise will be dramatically reduced. More terms to be added at a later date. ​I strongly recommend all my subscribers utilize trailing stops. This is about preventing winners from ever becoming losers. An insurance policy on success, if you will. If you want to let half your holdings ride with no stops, that's fine... but I would utilize the stop feature on the other half. Personally, when I make a trade, I won't immediately place stops... that's because I think I'm getting a great entry point and don't want to get stopped out at what I perceive to be a discounted price. However, once I'm up a certain amount or certain %, I like to utilize these trailing stops to insure the win. Other stop strategies can include hard stops or mental stops. But do NOT let your winners turn into losers! And here's another good thing about stops: If I'm ever stopped out of a winner, it frees up more cash for my next investment... and sometimes that investment is the same one I was just stopped out of... but now at a lower price. Protect those profits!